One of the world’s leading builders of superyachts, Sanlorenzo was founded in Italy during the late 1950s – a golden era of post-war prosperity that’s now synonymous with notions of glamour, high style and, especially, la dolce vita. 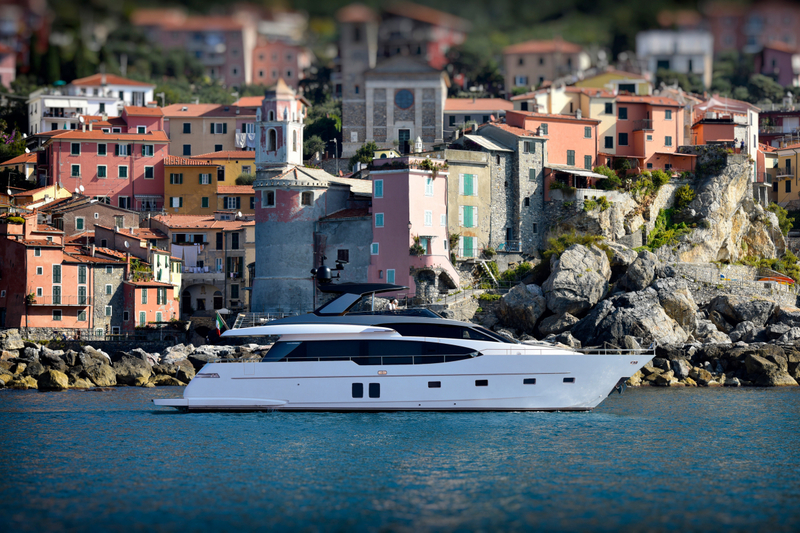 Today, some 60 years later, that same company continues to build some of the most alluring motor yachts in the world, vessels prized for performance, craftsmanship and exclusivity, not to mention Italian flamboyance by the boatload. 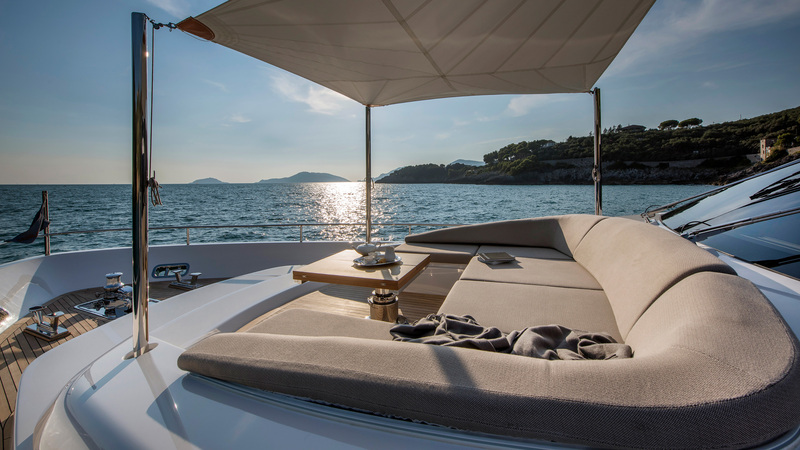 At its three boatyards on the shores of the Ligurian Sea, Sanlorenzo constructs yachts that range in length from 24.6 to 64 metres (78 to 206 feet), and with hulls of fibreglass, steel or alloy. Regardless of size, every vessel is strictly built to order and made to measure, and is also configured and customised precisely to its owner’s requirements. Thus it’s difficult to reconcile the words “entry-level” to any boat that bears the Sanlorenzo name – and especially one likely to cost in the region of US$5 million at the very least. Yet the company uses those exact words to refer to its latest model, the SL78, which was displayed by its Asian agent, Simpson Marine, in October. Designed by the Officina Italiana Design studio, which is famous for its collaborations with Riva as well as Sanlorenzo, the SL78 is a planing, hydrodynamic-hull, flying-bridge fast yacht that, when fitted with the optional twin MTU 1,622mhp V10 diesel engines, achieves a maximum speed of 28kt (52km/h) and cruises at around 25. It features an open-plan salon and dining area on the main deck, with large windows affording plenty of natural light and good visibility, and an elegant floating companionway leading up to the flybridge. 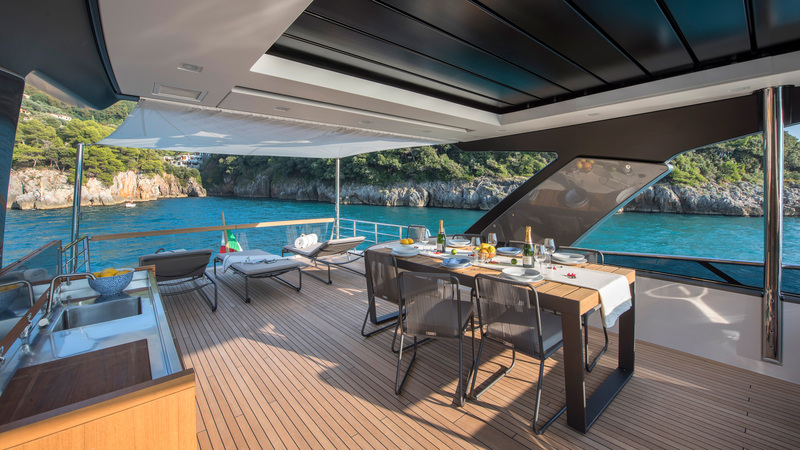 But clearly the focal point of this sleek and stunning vessel is its unusually spacious flybridge, with generous teak dining table, sun loungers and clever sunroof. For when relaxing up here after a long and lazy lunch, cooled by the breeze and with champagne glass in hand, it really does feel as if the sweet life might just go on for ever.